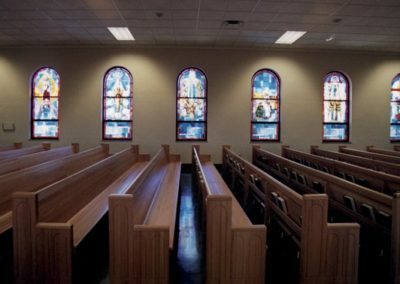 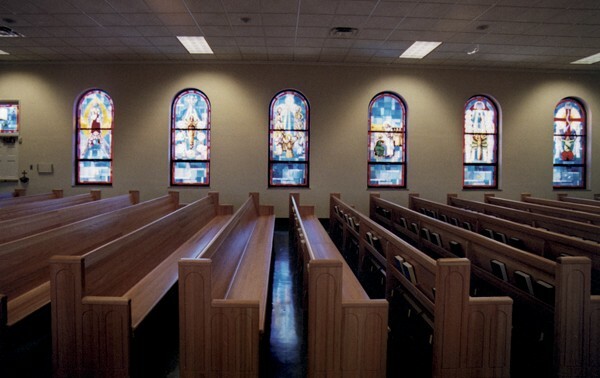 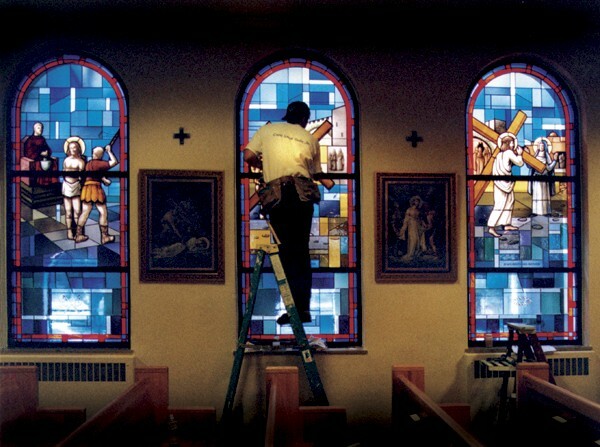 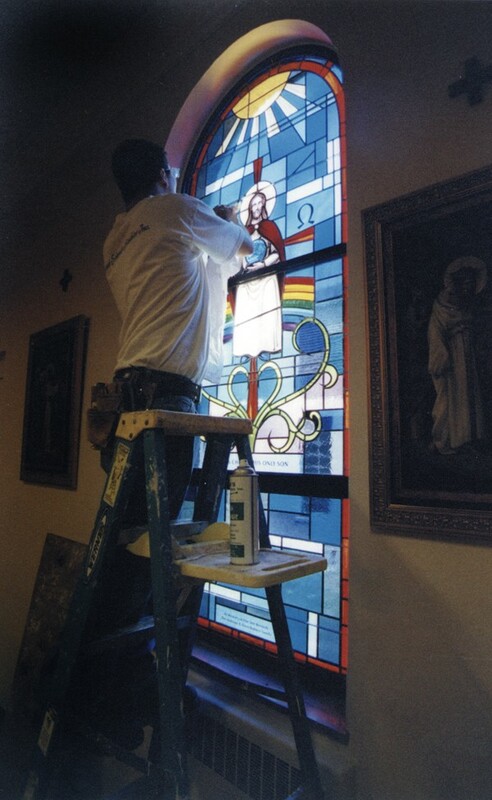 In Kettering, Ohio, to replace the clear glass of St. Albert’s Romanesque windows with new figurative stained glass and to provide decorative painting throughout the worship space. 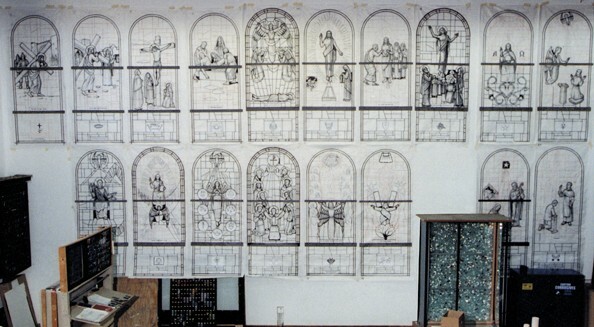 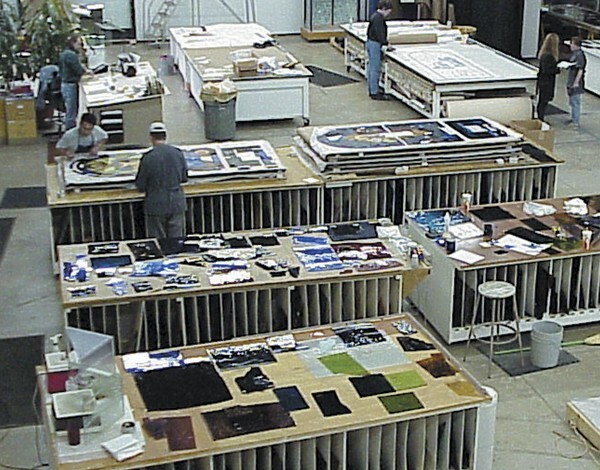 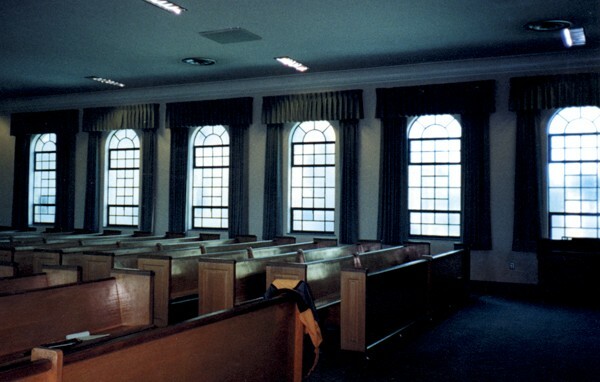 Conrad Schmitt Studios proposed the theme of the Apostle’s Creed to guide the window design; the Seven Sacraments were also included in the overall window plan. 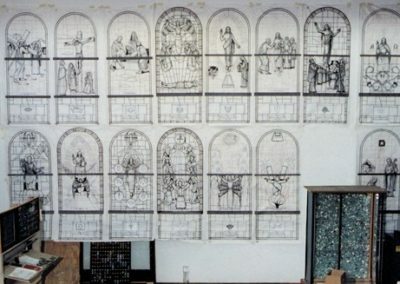 Design renderings for all the windows were submitted and approved, followed by full-size drawings or “cartoons.” The glass palette for the windows was chosen to keep the church bright, while enhancing the sacred aura of the space. 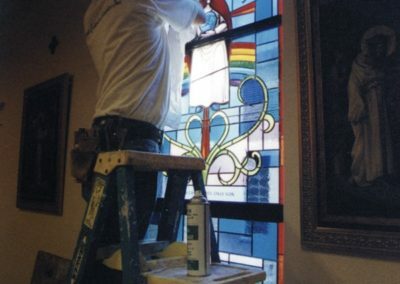 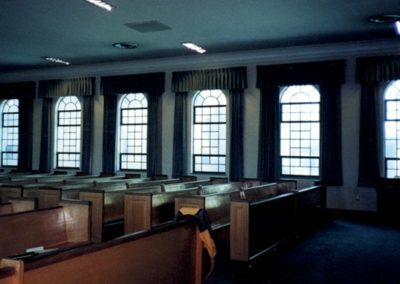 Studio artists executed a warm decorative painting scheme for the interior of the church that balances the cooler hues of the windows. 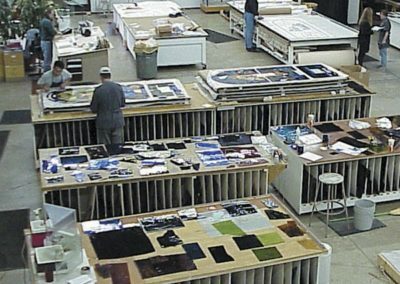 Beautiful, historic paintings of the stations of the cross were also conserved by the Studio, restoring their original richness.